The research was carried out by Dr Rod Mitchell, clinical research fellow at the UK’s Medical Research Council’s Human Reproductive Sciences Unit at the University of Edinburgh, and is published online in Europe’s leading reproductive medicine journal Human Reproduction  today (Wednesday 4 August). The types of TGCC that occur in humans do not occur in laboratory animals, probably because of differences between humans and animals in the timing and organisation of foetal germ cell development. Therefore, using animal models to study TGCC origins is not possible. For this reason and because there was no other option available, the researchers obtained ethical approval to take testicular tissue from foetuses that had been aborted at nine weeks and between 14-18 weeks gestation. The women gave consent in accordance with national guidelines. None of the terminations were related to foetal abnormalities. Testicular tissue cannot be studied in a test tube because it does not survive and develop normally. So the researchers grafted the tissue under the skin of a naturally occurring strain of mice that do not reject tissue grafts because their immune systems do not work normally. Frasier and Denys-Drash syndromes are rare conditions in which the testes of male babies do not form normally, resulting in abnormalities of the external genitalia and internal reproductive organs. 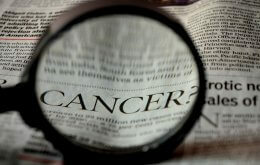 A number of associated problems also develop such as kidney disease and cancer. The research was funded by the UK’s Medical Research Council. Human Reproduction is a monthly journal of the European Society of Human Reproduction and Embryology (ESHRE), and is published by Oxford Journals, a division of Oxford University Press. Please acknowledge Human Reproduction as a source in any articles. Does Work Stress Increase Cancer Risk?